Be honest – do you secretly hate Valentines Day? If you’re single – it can be kind of depressing or make you feel more alone. If you’re in a relationship – it can sometimes be anticlimactic or disappointing even if you and your partner do celebrate it in some way. This year, single or partnered, why not do something completely different? 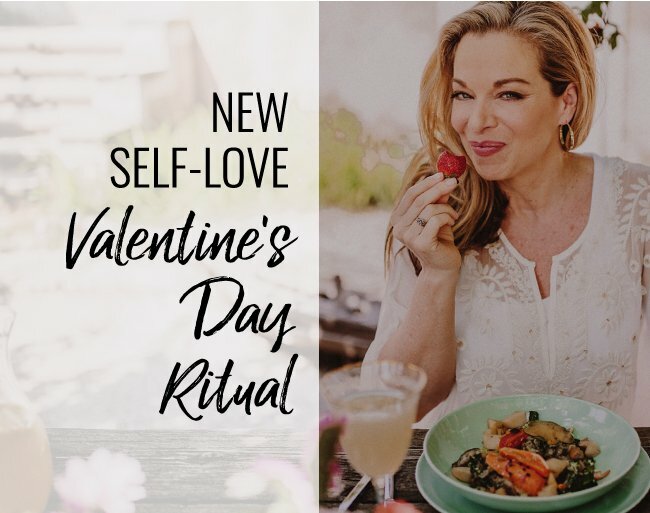 Every year in the Real Love Revolution, we create a Self-Love Valentine’s Day Ritual. If you’re in a relationship and you still want to do something for your significant other, that’s great, do that too…but I want you to focus on the power of SELF-love this year. When you practice self-love, you put out a certain energy and vibration into the world and that attracts others who have a similar energy or vibration. Having healthy self- esteem means that you can draw healthy boundaries with ease and grace, you can speak authentically, and negotiate for your own needs. If you have low self-esteem and you think you are not worthy of kindness, love or of being cherished, you will inevitably attract people into your life who agree with you. If you are in a relationship and insist on doing everything for yourself and don’t express your desires and preferences, you are basically training your partner to NOT step up for you. It’s tempting to lie to ourselves by brushing disappointments off as “no big deal.” But the reality is that it IS a big deal. Your self-regard is directly impacting who you attract and what behavior you allow in your life. What is it that would make you feel loved? What currently makes you feel loved? What is the kind of love that you want in your life? What does that look like? How do you want to feel in your relationship with yourself and with others? Enter your Zen Den space and using the inspiration and discoveries from your journaling exercise, decide what would be a beautiful Valentine’s Day gift to give yourself. It can be the smallest thing or the biggest gesture, but it’s all about you treating yourself with love and consideration. You have the power to make yourself feel good…do something that makes you feel the way you want to feel. 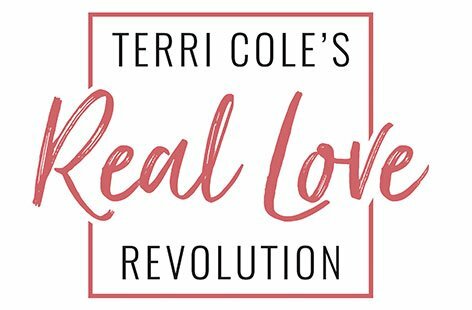 The Real Love Revolution is based on my strong belief that self-love is the only path to all other healthy, fulfilling love. The intention of this ritual is to emphasize that it isn’t about someone else making you feel a particular way…it’s about taking responsibility for making yourself feel loved and supported. By doing this and raising your own vibration and self-regard, you put out energy that attracts similar energy. It is so important that you get your own relationship to yourself in order before you go out and spend money, time, and energy on trying to find fulfillment with another person. If you don’t figure out that self-loving relationship first, you might continue to attract unsatisfying people and relationships into your life. You have the power to make yourself feel loved – it’s not something that someone else withholds or bestows on you. When you really discover that truth and learn to love yourself, you start to attract people who agree with that high self-assessment…and you deserve to be truly, deeply loved. I am so glad that you find the vids and content helpful. I am sorry to hear about your situation and am sending good vibes for you not only survive but THRIVE, in time. Thank you for being here with us! I have only recently connected with your website, thank you for putting the love out there. This year I have taken a week off work, to just connect with myself, using your advice, and to focus on developing my sense of self love. Children are with their dad for the week, and I’ve told friends and family that I’ll be ‘off grid’. I am creating my healthy sleep routine, diet, exercise and challenging my ‘stinking thinking’! For the day I have bought myself flowers and chocolates, and plan to spend my day doing things that I enjoy, but have neglected due to busyness. Time to feel and heal. Right on, Val!! That is a bold move and the power of your intention to “feel and heal” is the powerful fuel that will get you there. I am so glad you are here with us! I’m Mathew, 26, and really like this idea of self love and recently realised how important it is, for both women and men. I was wondering, while your videos sound like they’re tailored to women, does the same hold true for men? Or should men be approachinhbit differently? Thank you for being here! It really is the same for men and although my main demo is women I am always open to have men join in anything that is not deemed, women only. As a mom to 3 grown men, I promised you this advice is applicable. Keep up the great work! I treat myself with a day in the sauna. Love your posts, learned a lot. Nothing in my life is the same anymore. Your self love day sounds dreamy! I am so happy the content is helping you. Thank you for being here with us! For Valentine’s Day this year I had lunch and bought myself some jewelry and some Chinese for dinner all by myself and I LOVE IT! I already have my Zen Den so my environment is nice and cozy and I have been enjoying my life greatly because of the work I have been doing on myself to have more ease and comfort in my life now that I am in my early Fifties, thank you for all that you do! Love this, Valerie! Thank you for sharing here with us. Sounds dreamy!